Help save the day by donating new, unused costumes and accessories! 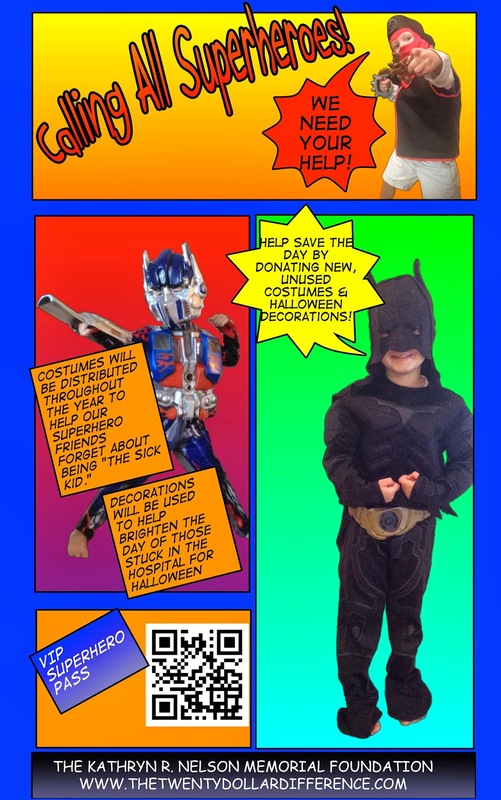 Our superhero cancer friends are hard at work fighting the evil villain (cancer) every day! Our Superhero Mission? 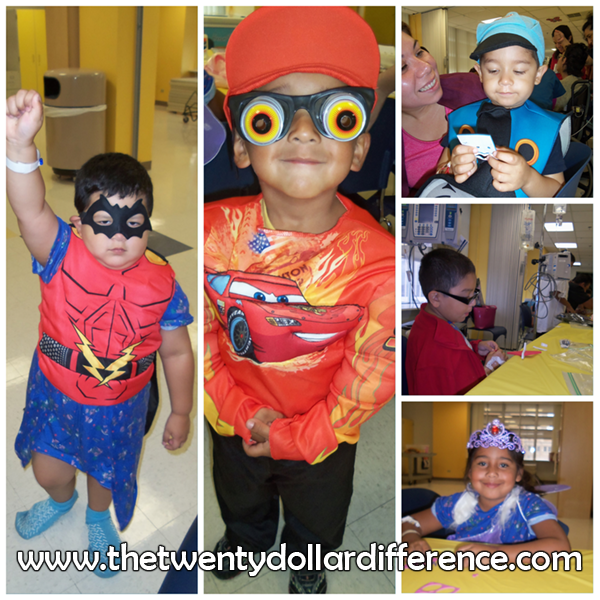 To simply help them forget about being "the sick kid"--even just for awhile through dress up and play! Dressing up has a remarkable way of transforming you into another world! Costumes will be donated to local cancer superheroes to help them throughout the year. Especially on holidays and other days when it would not be fun to be stuck in a hospital! You can donate by clicking on the button on the top right. 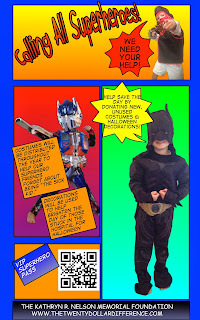 We will purchase costumes and accessories with 100% of your donation. Please thank and support this local business for helping us in our efforts!! Questions? Contact us at info@thetwentydollardifference.com or by phone at (210) 838-1083. My son watched the video with me and he is clamoring, "DO IT AGAIN!" Very fun video! & a great project! Sharing!